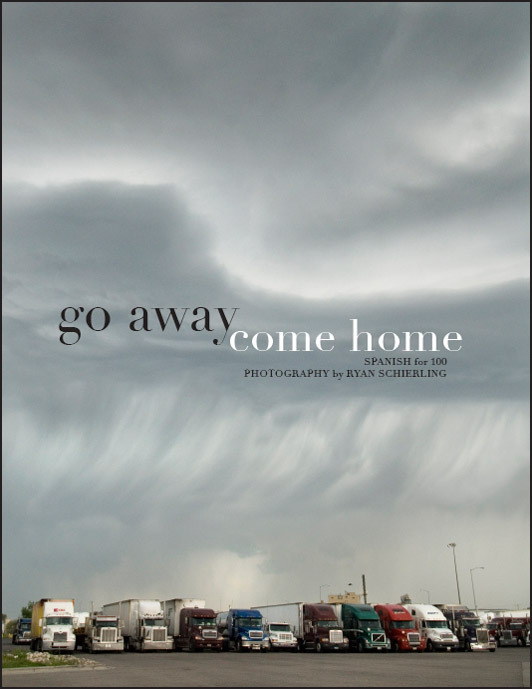 Ryan Schierling: Go Away Come Home. We just called them 'zines. They were xeroxed – filled with photographs and writing about whatever it was we were doing back then, usually skateboarding and BMX and lamenting about girls – and often traded via mail with other like-minded teenagers in far-flung parts of the country. It was an incredible creative outlet and I met a lot of interesting people. I've still got a stack of 'zines from the late '80s in the closet – with some notables being Stapled and Xeroxed Paper by Spike Jonze, Aggro Rag by Mike Daily, Marcel Marceau's Speech Therapist by Nor-Cal Swami Scott Davidson and Disobedience by Alberto Kroeger. But self-publishing a full-color, high-quality magazine hasn't ever really been an option. 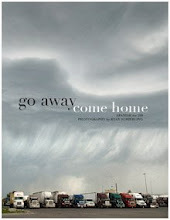 Go Away Come Home is a 56-page visual retrospective of my 2007 and 2008 summer tours with Seattle band Spanish For 100. Five weeks of shooting. A month of editing. Two weeks of magazine layout. Two blind-drunk days of wondering whether or not this was a good idea. After having lived on a hard drive and/or strips of black-and-white negatives for the last year, it's good to finally have given these images a home. There are additional projects/magazine issues underway, so send me an email if you'd like to be notified when they are available.